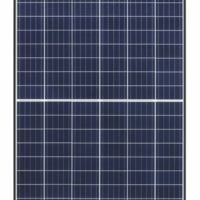 Beyond Oil Solar has sale pricing on high quality solar panels (photovoltaic or PV modules) including REC, LG Solar, SolarWorld, Canadian Solar, and Hanwha QCells. In addition, we now are pleased to offer Longi Solar and Mission Solar to our products. If you do not see the panel manufacturer or brand you are interested in, contact us for more information. Also, ask us for discount prices on larger quantity orders. Our sale panels include both 60 and 72 cell modules from major manufacturers. The 72-cell modules are larger, and are often used in commercial applications, but they can also be used for residential roofs. This mainly depends on the layout of your roof and which panels make a better fit on the roof. Many homeowners prefer the look of the black frame (often with a black backsheet, BOB) panels which look sleek on residential roofs. The clear aluminum frame modules, with white backsheet, do have the advantage of reducing heat build up (higher temperatures can cause solar panels to produce less power), and are typically found in large-scale solar systems. The number of modules required for your system will depend on the output power, current and voltage characteristics of your modules, and the voltage requirement of your inverter, as well as environmental conditions. The output voltages of the larger 72-cell modules range from 24 to 50 VDC while the voltage of a 60-cell solar panel is 18 to 36 volts. 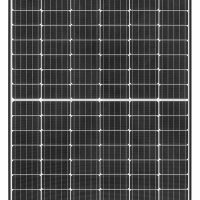 The 60 cell panels are generally used in grid-tie systems where the inverter requires a high DC voltage; having a lower DC output allows more panels to be used per string. Smaller off-grid systems usually need outputs of 18 to 54 volts to charge batteries and operate DC loads. Contact us for any help in designing your system or choosing the best products for your solar applications.